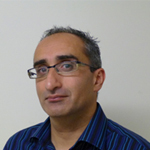 Dr Wasim Baqir is currently on secondment to NHS England to lead the care homes medicines optimisation scheme. He was the lead pharmacist for the Northumberland PACS Vanguard where he led an integrated team of pharmacists and pharmacy technicians, working collaboratively with doctors, nurses, social care and other professionals to develop and test services for patients across Northumberland. Before this, he was the R&D and quality improvement pharmacist, leading on several projects including the Shine project; optimising medicines in care homes. He has a passion for quality improvement and sits on the Trust Quality Laboratory and recently was successful in joining the Health Foundation’s Generation Q Network. Nationally, he is a member of the Royal Pharmaceutical Society Innovators’ Forum and the Guild of Healthcare Pharmacists’ National Professional Committee. Follow Wasim on Twitter: @wasimbaqir.